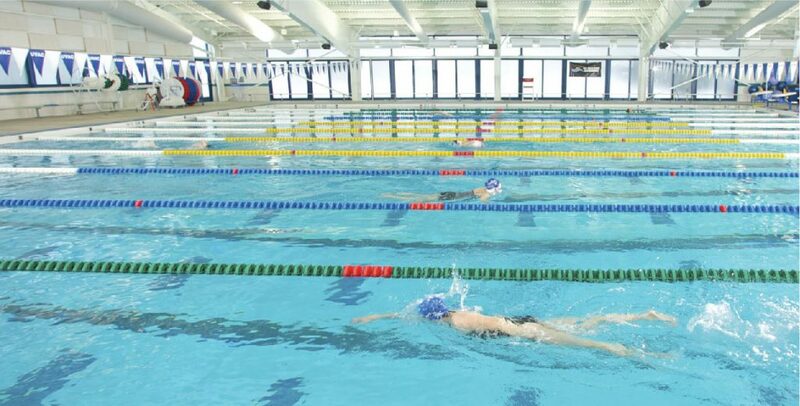 Our 11 lane, 8 foot deep, competition and training pool is 25 meters by 25 yards and provides both competitive and recreational lap swimmers with an ideal environment. We maintain the pristine water at 78-80 degrees. We offer programs for all levels of swimmers including a Masters swim program, a competitive swim team for all age children, Red Cross courses, adult and child swim lessons and we host a number of USS Swim meets throughout the year. Our elevated bleacher section can hold 400 spectators. Depending on the season we also run programs such as water polo, scuba diving, kayaking, and other aquatic programs. Rental arrangements for schools, swim teams, and social groups can be made. Children 13 years and under must be supervised at all times by a PAYING PARENT or GUARDIAN who is 18 years or older. The only exception is if the child is participating in an ORGANIZED UVAC PROGRAM where we provide the extra supervision, like swim team. We encourage you to enjoy the water with your children, but don’t require it if your child can swim. The supervising parent or guardian may be in the water or on the pool deck, but for non-swimming children an adult must be in the water within an arms reach of the child. What is the temperature of the Competition Pool? The temperature is between 78-80 degrees all year long. It is cooler because it is a competition pool and people exercise vigorously in it. This temperature is best for training. ALL pools close 15 minutes early.